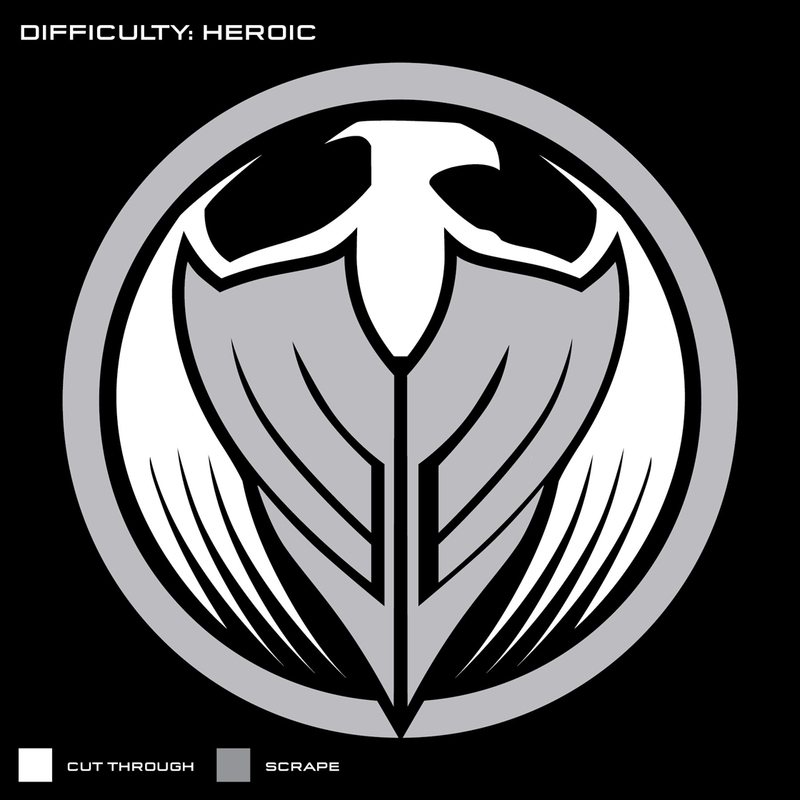 If you’re like the rest of us, so many of Halo’s memorable moments are made ever more magnificent by the iconic melodies that meander alongside us as we galivant across the galaxy – and perhaps even just outside of it. Speaking of which, last week our friends at Nerdist put together a pretty awesome look at the development of Halo Wars 2’s musical score, including the release of two brand new pieces from the upcoming RTS’ OST, as well as the official announce regarding the minds behind the musical magic. If you haven’t gotten a chance to check it out for yourself, definitely do yourself a favor and clicky da linky. And speaking of Halo Wars 2, it’s a particularly exciting time around 343 right now, as we’ve got community friends and media partners on-site in the studio as we speak to partake in some pretty cool new HW2 goodness that we’re all eager to wax poetic about soon. Very soon, in fact – we’re not saying you should expect some sort of media blitz about it all on Oct 19, but… yes we are. Stay tuned. Your passionate penman might not ever have a (remote) future finding success in the Halo Championship Series, but every once in a while, I do put the Pro in Procrastination. If you find yourself feeling equally guilty of such a trespass from time to time, then this reminder might be just the thing you need. 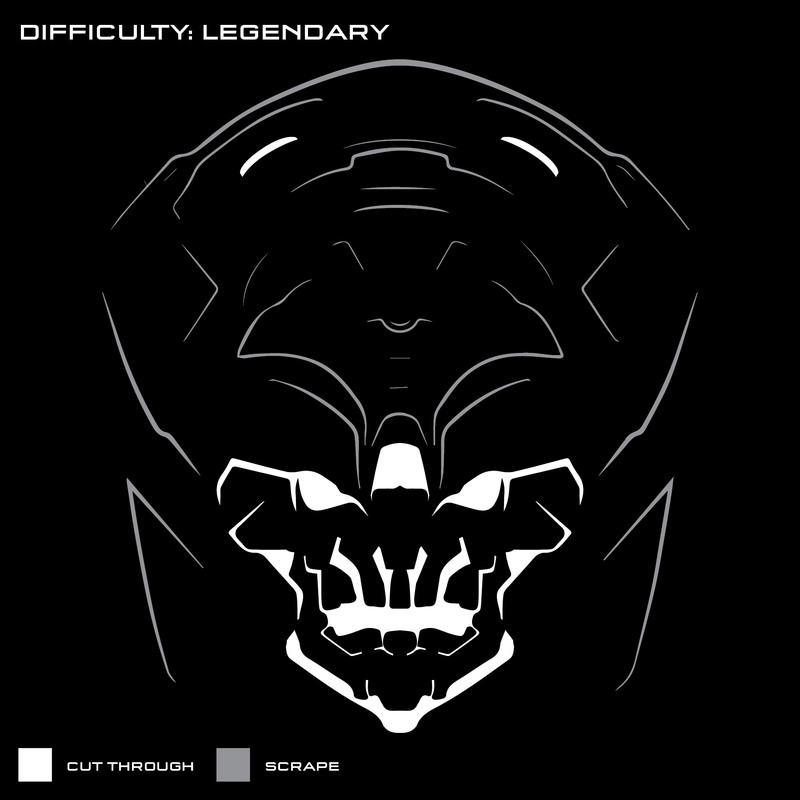 Recently, we revealed the newest Halo Icons figure slated for inclusion in the next edition of the Halo Legendary Crate – with a little help from a particularly handsome and heroic Helljumper. Whether you’re needing an epic fireteam member for your Friday Knight Fights, or you need someone who knows the Keyes to your Castle, this epic and exclusive ODST-era Edward Buck figure is not to be missed – and miss it you shall if you don’t order your own Halo Legendary Crate by tomorrow, Oct. 15. Click here if you don’t want to be left out! You know what everyone loves? Stickers. Don’t act like it’s not true. You get an A on your term paper, that’s pretty cool – you get a sticker on that sucker? THAT’S next level academic achievement. Next stop: the fridge. Since stickers make basically everything better, we’ve collected some fun ones together for you to Halo-fy your comm chatter across your iOS devices. Download our opening sticker salvo now for free on the App Store, and add some Mjolnir to your messaging. As mentioned, the team headed down to Santa Ana, CA for HCS Orange County last weekend. The first HCS open live event did not disappoint, with each day showcasing new champions emerging from ever-more-epic settings. The Halo 5 FFA Powered by ASTRO Gaming saw bubu dubu reign supreme, while OpTic Gaming finished off the final day by taking the crown in the Championship Bracket in a 4-0 sweep of current HCS Pro League leaders Team EnVyUs. Get the full recap and results right here, and keep it locked to Halo.gg and ProLeague.com/Halo for all the latest Halo esports goodness. Oh, and speaking of RvB, the season finale of Season 14 airs Sunday, Oct 16 at noon ET at RoosterTeeth.com for FIRST Members. The episode – "Red vs. Blue vs. Rooster Teeth" – is an epic and hilarious hybrid of live-action and animation that stars all five of Rooster Teeth's founders, and, for the first time in nearly four years, was written and directed by Matt Hullum himself. Trust us, it's something you won't want to miss. In fact, why don't you check out a tiny taste right now. 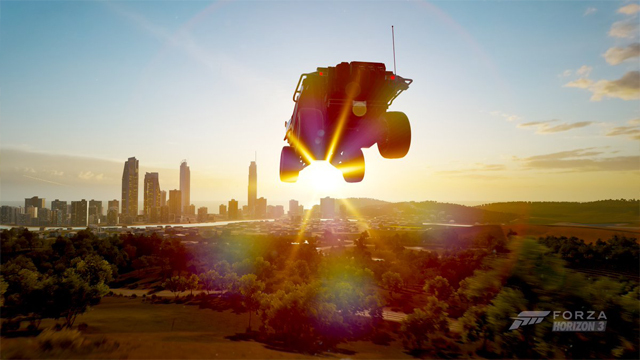 When last we met, we were still basking in the glow of a freshly-launched Forza Horizon 3 – which really means that we were spending an inordinate amount of time hooning Hogs around the Australian Outback alongside various Vipers, Vulcans, Venenos, and Vanduras. On the fiction-focused front, we’re back at it with some awesome new narrative-natured news. 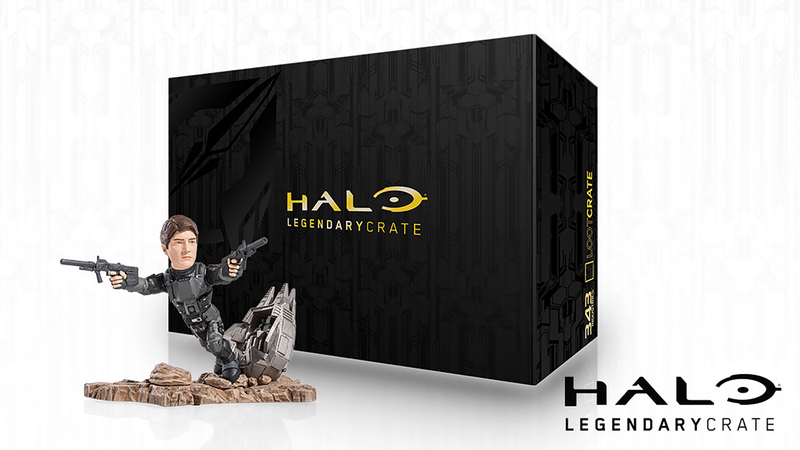 Oh, and remember that upcoming Halo Legendary Crate we said you shouldn’t miss out on? Lore lovers in particular might want to make sure to get their hands on these each round. There may or may not be some carefully crafted canon warmly woven into each edition – stuff specifically aimed at the “detail-oriented.” Just saying. 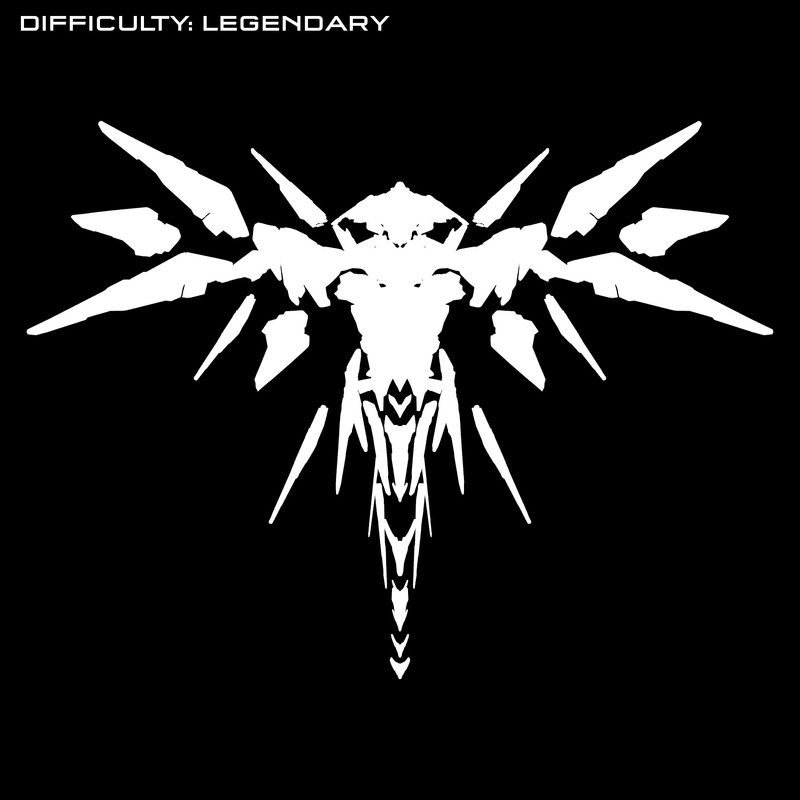 Throughout the myriad of Halo media released over the past nearly fifteen years, stories have been told in an impressively eclectic range of corners in the universe, ranging from intimate boots-on-the-ground stories of war, to ancient and far-flung alien legacies. One specific type of setting has had a knack for rustling the happypants of a certain flavor of fan – particularly those enthralled with the maritime minutia of the Halo universe (I’m looking at you Grizzlei, Unikraken, SOTP folks, etc). For Halo fans who daydream of everything from mind-bending physics of slipspace to the strategic intricacies of the Keyes Loop, we’ve got a new book for you – Halo: Warfleet – An Illustrated Guide to the Spacecraft of Halo. Ship hype, engage. So, what is it exactly? 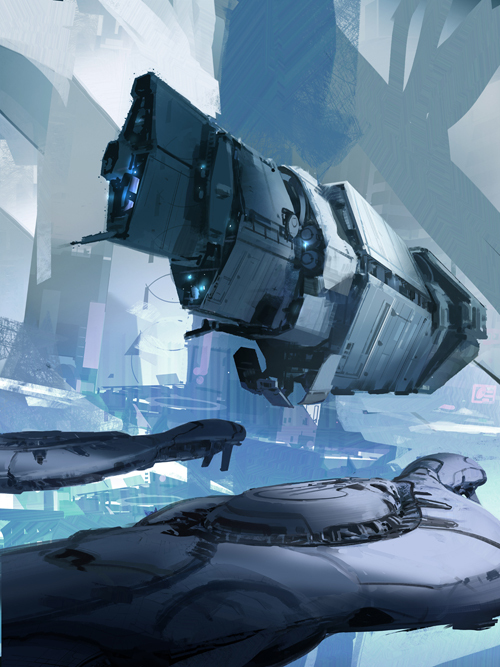 Halo: Warfleet is our next book project with our friends and publishing partners at Egmont – think of it as a sort of “technical” companion to the recently released Halo Mythos. 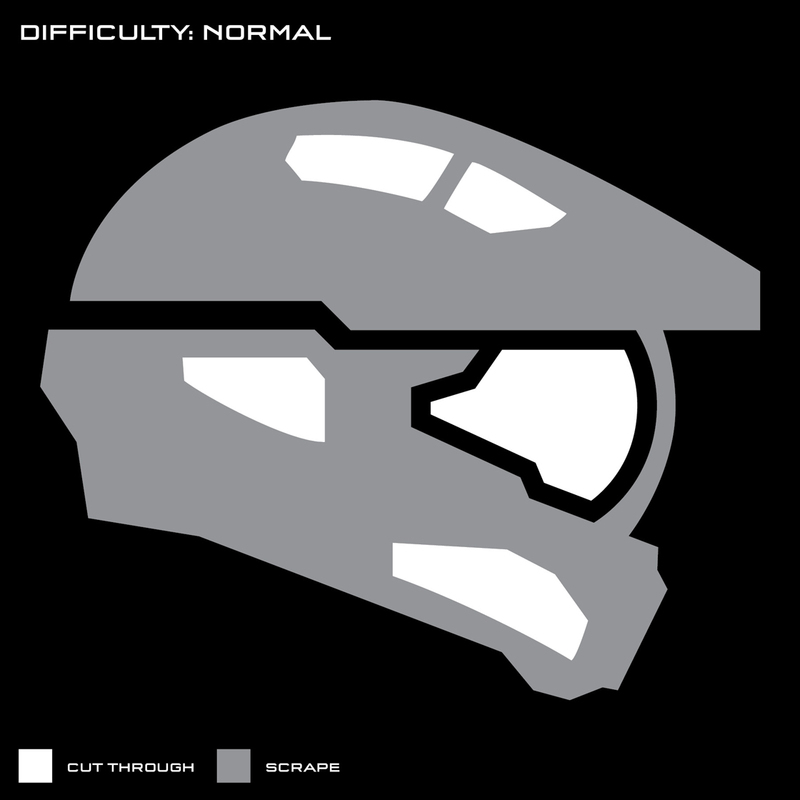 Created by 343 Industries, this new guide is first and foremost a cross-section reference book, with ten full-color ship cross-sections by Hans Jenssen (yes, that Hans Jenssen, of the Star Wars Incredible Cross-Sections fame) and John Mullaney (the artistic brilliance behind Firefly Serenity cross-sections). In addition, amazing brand-new secondary art pieces are being crafted by epic art folk such as Sparth, Darren Bacon, Glenn Israel, Isaac Hannaford, Tyler Jeffers, and Carlos Naranjo. The image you see here is the cover art, currently under construction in Sparth’s artistic shipyards! The format is oversized to allow for larger illustrations and detail, with each spread being filled with annotations explaining the function of specific parts of a ship’s anatomy, accompanied by some history of the vehicle and statistics. Halo: Warfleet is slated for a late-2017 release, and we’ll be talking about it more – perhaps even showing off some sneak peeks at the beautiful artwork inside – as we get closer to release, so stay tuned! We’ve spoken at length about some of the awesome new additions to the Halo tabletop experience created alongside our friends at Spartan Games, but pretty much all of the focus has been on the battles instead of the actual battleground itself. Well, not this time! 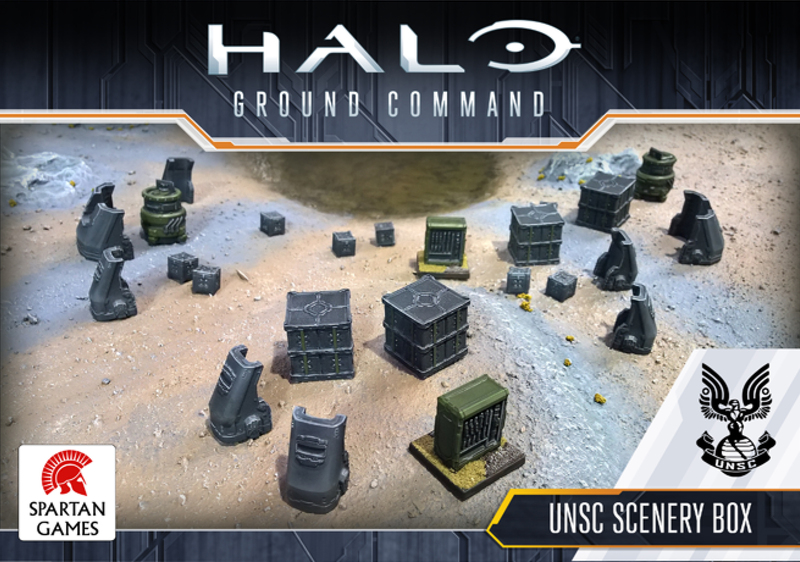 Recently, Spartan Games made some awesome new scenery pieces that community commanders can commandeer to turn their tabletop into a true Halo haven. And we figured, hey, why should stuff like vehicles, weapons, and characters get all the love? What about crates, barriers, and cargo containers?! THEY DESERVE LORE, TOO. The JW cabinets are tough enough for field use and hold enough firepower to make life rough for any Covenant attacker. Each can be configured for multiple mission and deployment scenarios, and is easily secured to prevent unauthorized access. A cabinet can hold ammo boxes, spare parts, optics, and maintenance tools, in addition to multiple weapons. The M72 MB-L is a heavily armored mobile protection shield used in both terrestrial and shipboard security roles. Drop-down travel wheels and steering lever allow the shield to be moved by a single individual on flat terrain, or it can be towed by any utility vehicle. 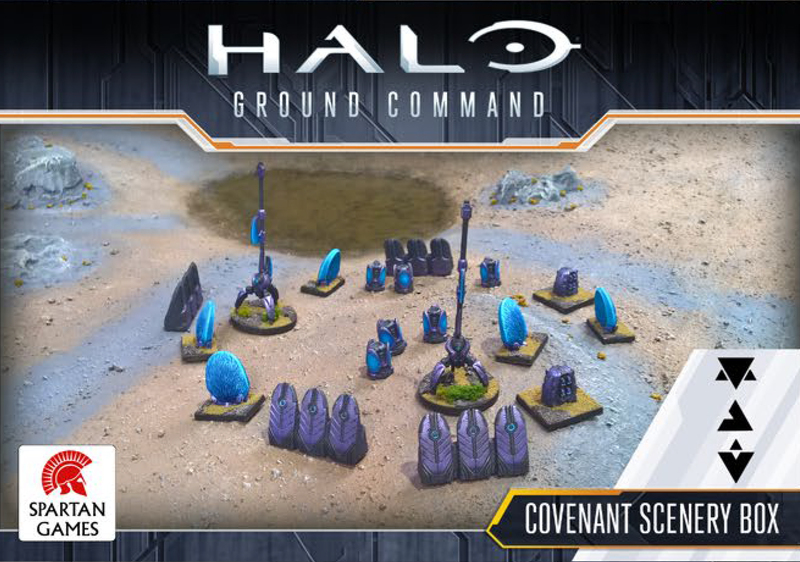 The first link in the Covenant’s command and control of their ground units begins with the placement of these Spikes in areas they intend to dominate. Each relay functions as a combination of proselytization network uplink, communication hub, and sensor relay node. The three armored panels of the Triptych are effective as a linear obstacle, vehicle blocker, and firing position at fortified Covenant landing zones, but they also contain systems which broadcast subsonic signals that deters local wildlife and has a soothing effect on nearby Yanme’e. And that’ll do it for yours truly for now. Next up, our beloved Bravo! Until next time… Live well, play Halo, and take heart, my brothers – only our enemies should fear this raging storm! We recently caught up with Ryan Kuehn and Tom French for some background on Covenant pieces that dropped in the Anvil’s Legacy release, and also begged for a tease of what’s to come. Take it away, guys. Being able to start with assets that have already been approved through our Arena and/or Campaign's rigorous pipelines is a huge leg up, but there is still a giant amount of work that goes into making an asset Forge Ready™. 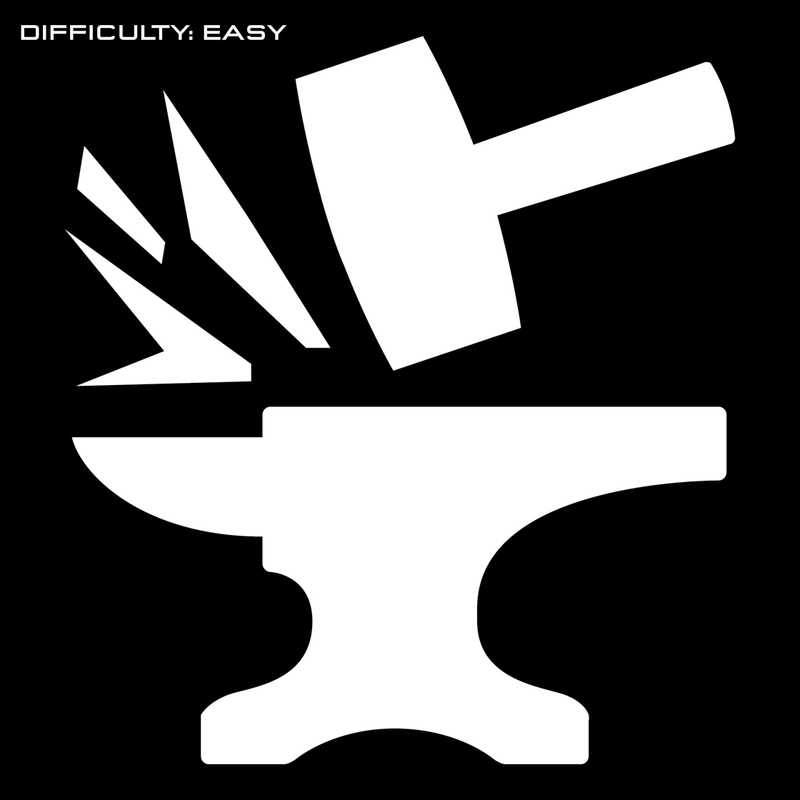 Typically pieces that are built for our other play types are meant to only be experienced from a very specific direction and as I’m sure you already know, Forge is a whole different kind of party. You can spin every object willy-nilly, rotate those little fellas, get right up next to them, and basically go wild. That means we need to go through and make sure that everything that goes into Forge can be looked at from every angle. That means closing gaps, finding creative ways to uprez parts of the model that might have been hidden before, and generally giving them that extra bit of Forge love. After making sure the model is going to hold up to the extra scrutiny that our cartographers demand, we move on to figuring out what we’re going to do with the materials on that bad boy. 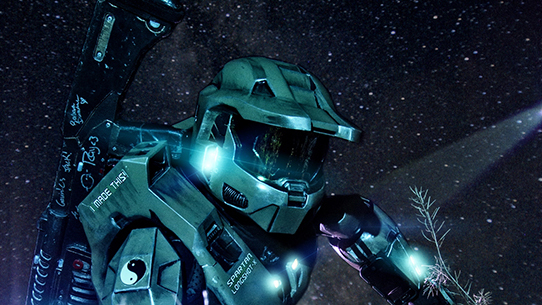 Ever since we launched Forge last December, people have been sending us requests on social media for Covenant pieces. And it certainly makes good sense, as the Covies have always been an important part of our universe! 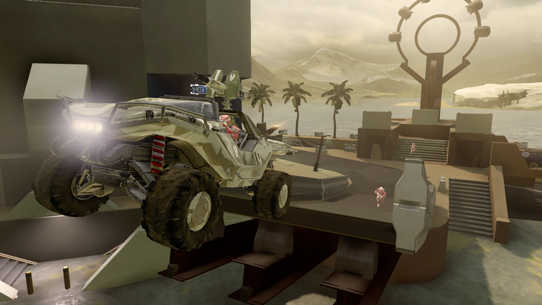 Not only has Chief has been fighting them for seemingly forever, but some of the most iconic multiplayer levels have been Covenant themed. 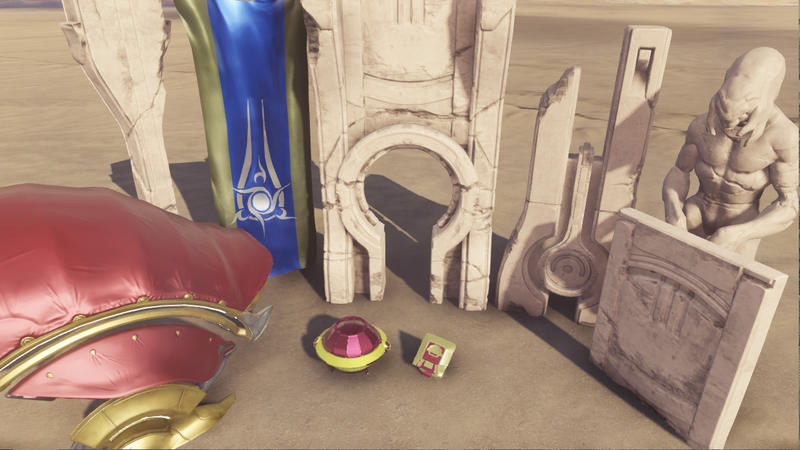 With all the color options and even the material swap system we added people could get something closer, but really, they needed new pieces to accomplish their goals. 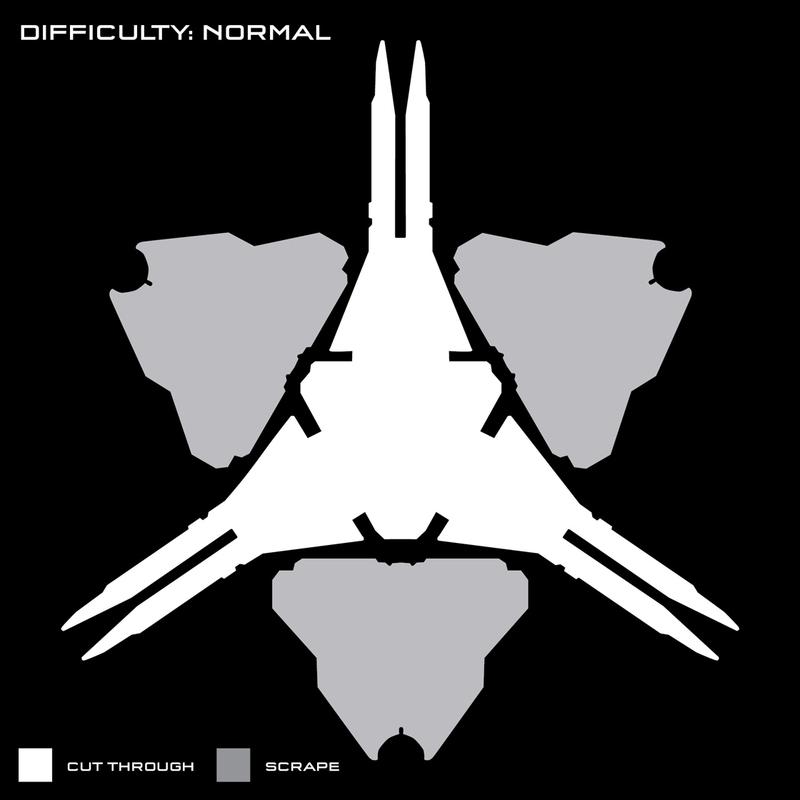 We really wanted to give the community what they needed but as opposed to UNSC (and even Forerunner for the most part), building Covenant structures requires a lot of more organically shaped pieces which are not only more intracate in their designs individually, but also often very specific to the surrounding level layout itself. We scoured our maps to find pieces and even shapes we could rip out of them that would make great accents with a wide variety of applications. 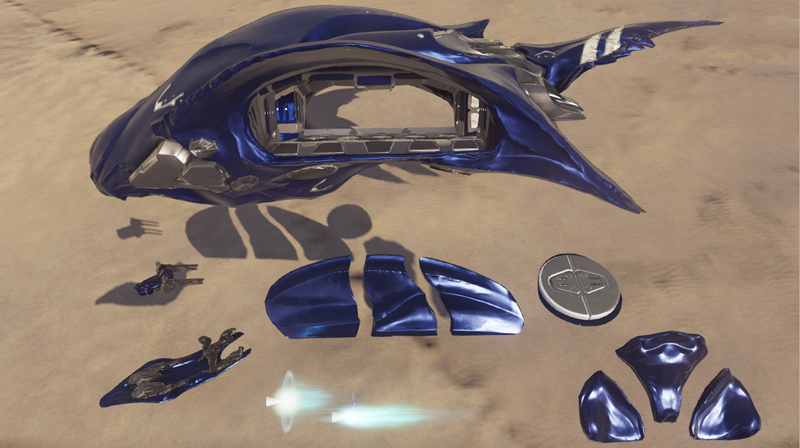 We looked for pieces that would make great accents to levels, helping add the curves where needed and augmented that list with a lot of Covenant staples; Phantoms, drop pods, weapon pods, etc. Additionally, we opened up the flood gates on social media asking for suggestions. The hundreds of screenshots and suggestions helped us prioritize what we were going to ultimately deliver. 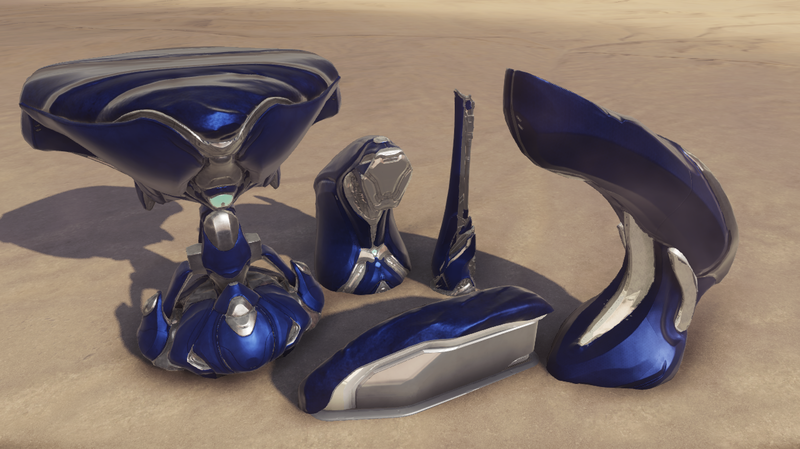 For sake of time and bandwidth we opted to spit the list between the two types of Covenant themes; more classic Covenant style was prioritized for the first update and then followed by assets from the Elite home world Sangheili in the next (coming soon!). Alien accents. No, not those kinds of accents. Open Phantom variant and the pieces to close it up and FX to make it look like it’s flying. 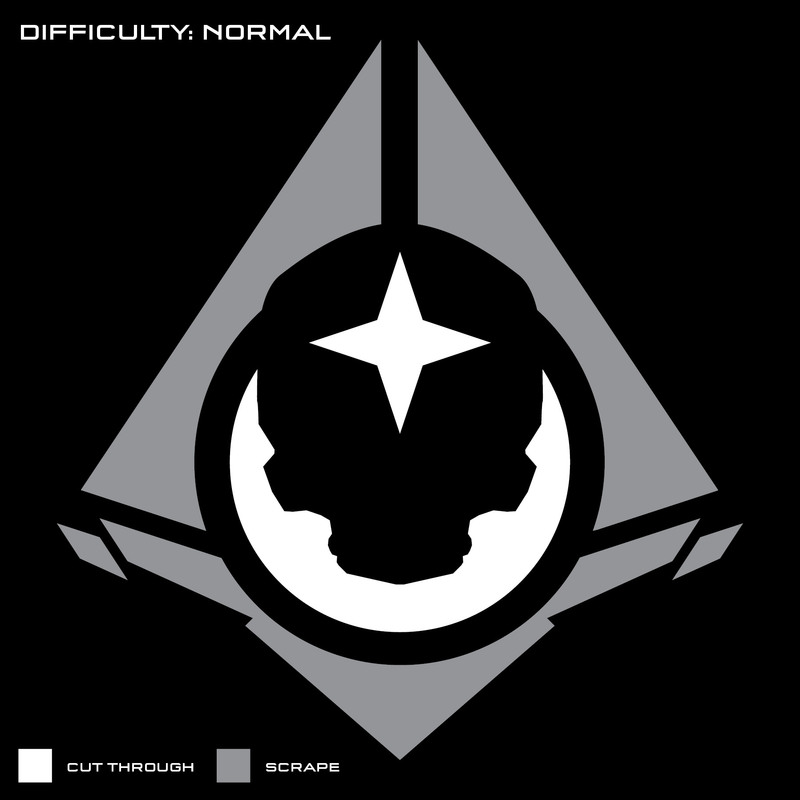 We’re getting ready for the upcoming holiday, and as has become tradition here in the world of Halo, our team of graphics artists has prepared a collection of Halo-ween pumpkin stencils for you to use in your carving efforts. They wait all year for this. The time has come. This year, we’re happy to present 11 new stencils (the most ever! 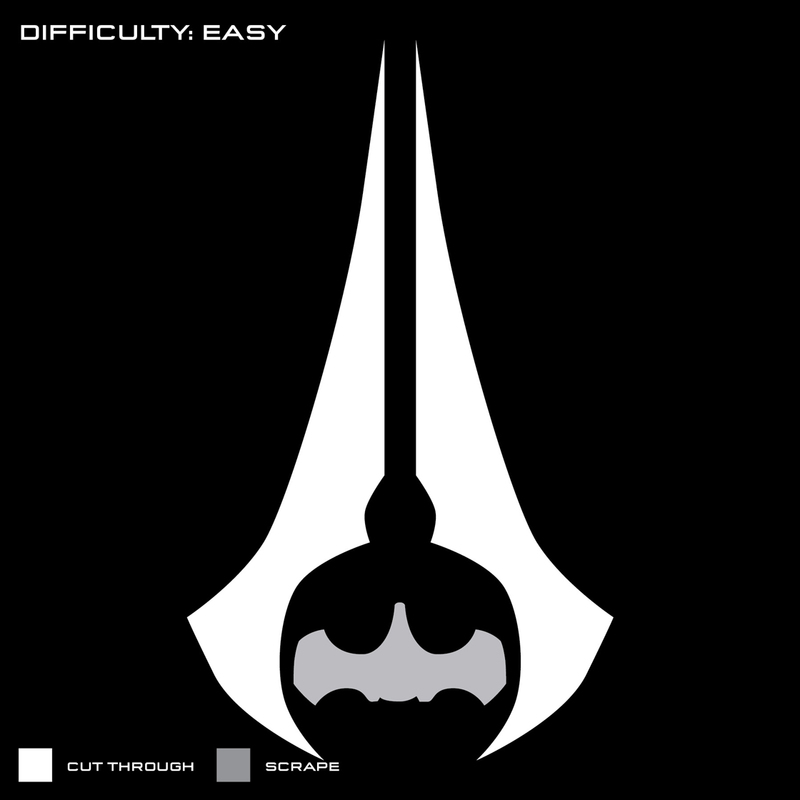 ), ordered from Easy to Legendary. Be sure to send us your creations on Twitter using the hashtag #HaloLantern, and we’ll feature a few of our favorites in a later edition! Happy carving. When we last spoke, the first episode of FOURvFOUR: The Competitive Halo Documentary had aired. Since, two episodes have dropped. 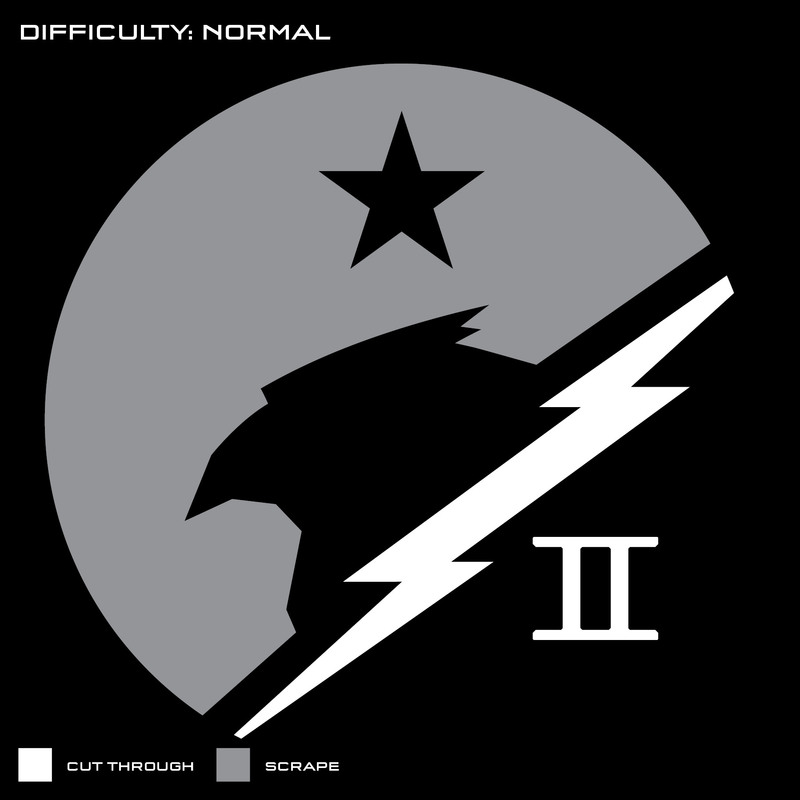 Episode 2 chronicles the release of Halo 2, 'Spartan 069' and the 2v2 era of New Zealand Halo, and Episode 3 details the tactics, 4v4 format, and how New Zealand Halo developed in regards to both. 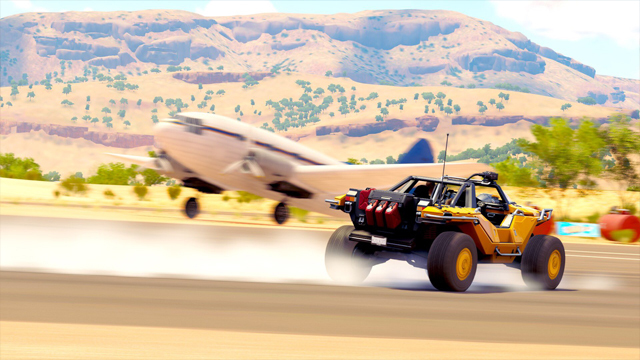 We love the series, and this week, we caught up with creator William Slingsby to get some extra detail and background on the project. Take it away, Will. As a videographer/film maker, I've had the idea for the project since early 2011 in one way or another. I initially thought up the idea for a university project, but later shelved it for something smaller. It wasn't until towards the end of my study I mapped out the entire history of Halo in New Zealand in detail and got to work. 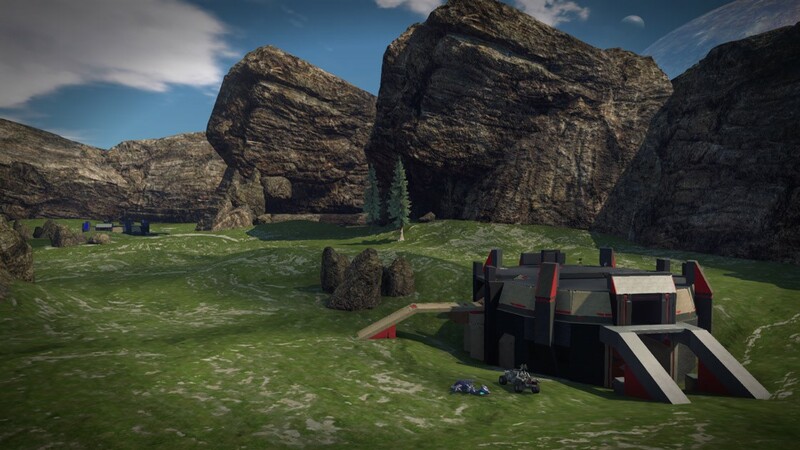 In late 2014, I travelled around New Zealand gathering interviews from players that I had deemed worthy of a story to tell within New Zealand Halo history. 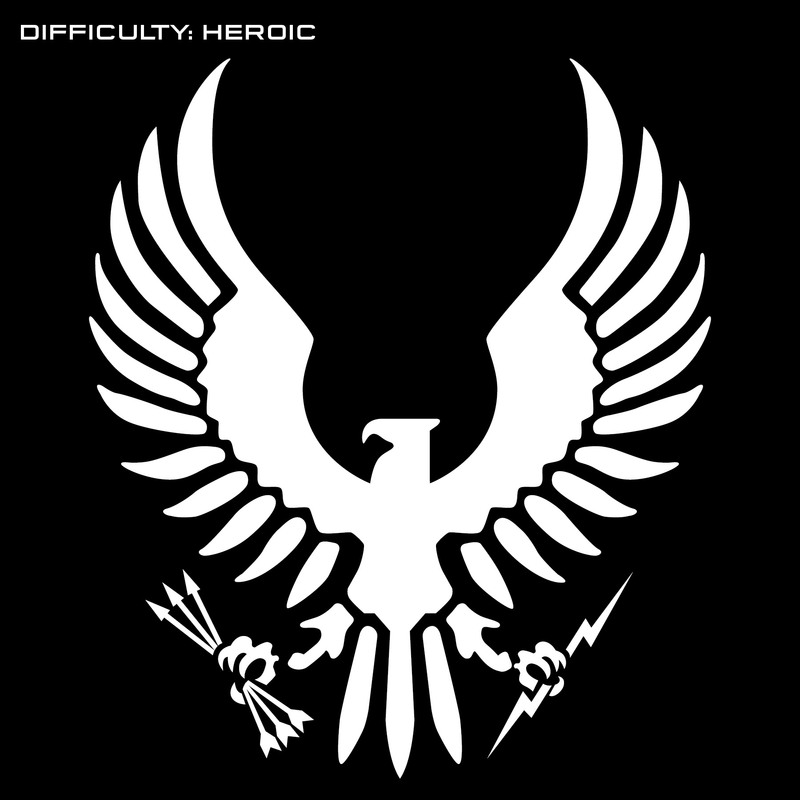 The main players interviewed are iconic figures within each era of Halo, and some span multiple titles while holding some of the most prestigious achievements a Halo player can achieve in a country so small. Throughout 2015, I did some pickup interviews and more planning in my spare time and then I finally moved into post production in late 2015. From then to now, I've been editing and collaborating with another partner to get it finished and up to a standard we’re both happy with. 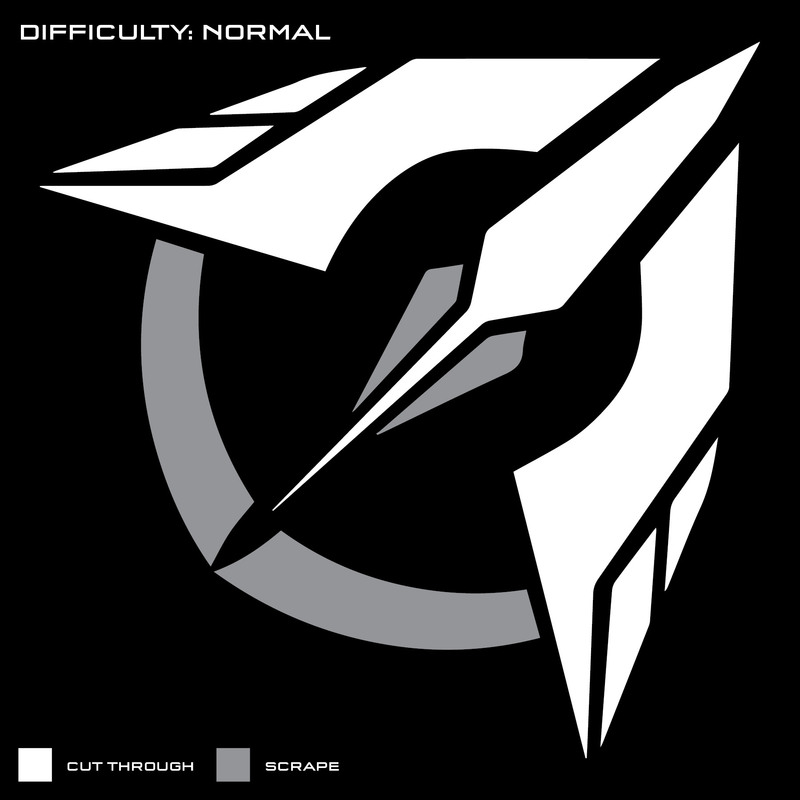 Being a Halo player embedded within the New Zealand scene since 2005, I can safely say that it's been a decade that I would never trade for anything... I've met some great friends and have watched many friends succeed. Being able to take my skillset and give back to the community in the form of this documentary is something that I hope can stand the test and educate players that come into the scene in the future. Episodes released weekly on Thursdays @ 7:00pm NZST. With a total number of 22 interviews, 19 were shot over 4 different cities around New Zealand (Auckland, Wellington, Palmerston North & Tauranga) and the remaining 3 were shot in Australia, Germany & Japan with the help of local recorders. The total amount of hours invested into the project before I stopped counting = 281.... stopped counting on 20.01.16. Be sure to subscribe for more FOURvFOUR here. 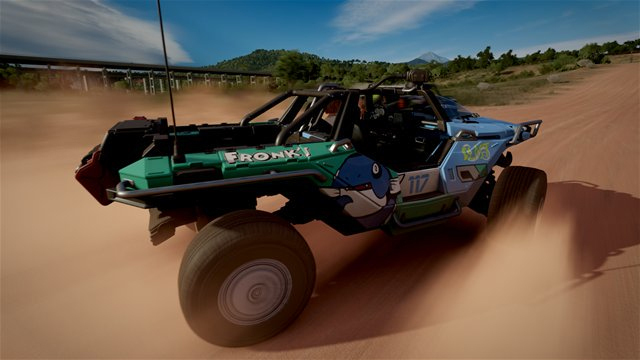 This week’s Community Spotlight has two favorites – first up, we’re highlighting Bullet Rebel’s latest masterpiece, as he impresses us once again with another beautifully edited montage. Next, we’re taking a look at Embolism by I SoldierSide I. This battleground is an instant classic, mainly because it comes from a recreation of an instant classic that also stood on its own as an instant classic in the sequel. What we’re trying to say is that we really like this Coagulation remake, and we think you will too. Click the image below to download the map! 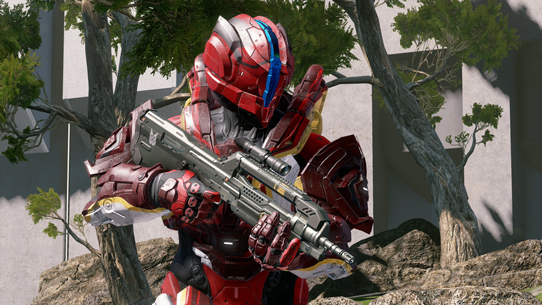 It’s been a while since we’ve featured a clutch Warzone play, and this week, xcasbonx sent us just that. At the start of the clip, there are 19 seconds left in a Warzone Assault match, and they’ve just called in the “Core-Stomper” combo any Warzone player loves / hates – the Camo and Fuel Rod. They’ll need to dodge, duck, dip, dive, and dodge to get the job done. Watch it here. That’ll be it for this week, friends. I’ll be on the road next week and off the grid intermittently, but Grim will have an update for you in about seven days’ time.